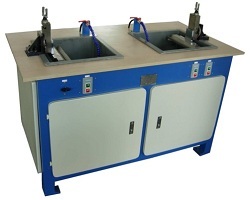 For generating spherical / plane surface of big diameter optical element. 1.The machine adopts high-speed rotating diamond wheel grinding and using a servo motors to make vertical feed accurately. 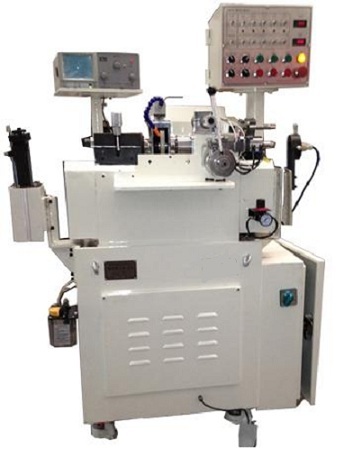 The accurate process is automatic controlled by numerical control system. 2.The longitudinal traverse (X-axis) of lens shaft for D/2 of diamond wheel is manual operation by handwheel, the figure is showed on lens shaft position screen. 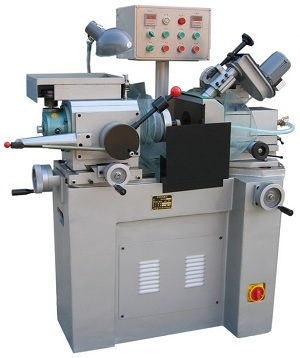 3.The inclining angle adjustment of grinding shaft is manual operation by photo-electric handwheel, the figure is showed grinding shaft angle position screen. 4.The rotating speeds of grinding shaft and lens shaft are driven independently and are infinitely variable,speeds show on digital display. 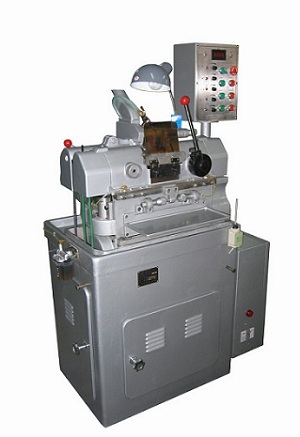 5.The working modes are manual, semi-auto and full auto operation for choice. 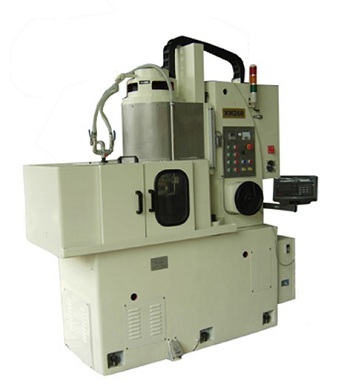 6.The clamping workpiece is with vacuum or mechanical. 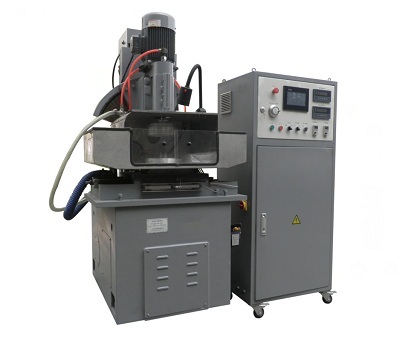 This machine is with high efficiency for mass production. Min. lens radius curvature: R50 (convex) R53(concave). Max. lens radius curvature: Plano.